The mining industry has always been and continues to be a significant factor in the Bulgarian economy. However, its future is shrouded in fog – some events in 2017 were about to dissipate it, but most of them seem to have thickened it even further instead. My attempts at retrospection and looking ahead show that the potential is huge, but such is also the probability of a coming collapse. A little over half of the 2.7 billion BGN total production revenue for 2017 is attributed to mining. The extraction of copper and gold-containing ores in Bulgaria has been developing at a rapid pace since the three leading mines – DPM Chelopech, Assarel-Medet and Elatsite-Med – were privatized at the very end of the 20th century. Undoubtedly, they were lucky – at that time, metal prices on the international markets shot up and have been roaming the clouds in the last ten years. In 2017, the three aforementioned enterprises had total revenues of about BGN 1.4 billion and profits which in my estimation probably exceed 250 million BGN. These copper mines also supply the country’s largest exporter – Aurubis Bulgaria. Together, these companies form the so-called Srednogorie Cluster make much higher revenues, added value, exports and salaries per employee than all the shiny offices in Sofia put together. This however does not mean that their success was achieved without loads of mud, sweat and tears. On the contrary, the daily struggle for competitive power in this sector is led on two main fronts: cost reduction and securing of new ore reserves and deposits. On the first front in 2017, we saw the invasion of digitization in the mining industry. Every possible process is about to become automated, and the majority of miners today know better how to drive giant machines with a joystick than how to handle a pick-axe. Investments are constantly being made in order to squeeze out every possible drop of human, resource and energy efficiency. At the beginning of 2017, the team of DPM Chelopech won first place in the annual awards of Mining Magazine in the category “Technologies” for the application of a non-standard approach and providing maximum utilization of ore in an innovative and safe way. The level of communication connectivity in all three mines competes with that in the center of Sofia. In 2017, even the lead-zinc mines in the Rhodope Mountains thrived and started investing more seriously in new machines and increasing efficiency. Unfortunately, the amount of bad news is bigger, because many other companies do not get the opportunity to invest their profits in developing new deposits. The projects of Resource-1 (from the KCM group) for tungsten extraction in the municipality of Velingrad and those of Euromax Services (from the Assarel-Medet group) for gold-containing ore extraction in Transko ran into a well-organized public discontent, organised by the local status quo and national anti-everything-ers. The potential entry of a large investor on the territories of these two underdeveloped municipalities quickly turned from an opportunity for development into a mortal threat in people’s eyes and nightmares. The first project, which could have put Bulgaria on the map of strategically important countries for the EU military industry, at least managed to produce a full EIA report for discussion. Alas, even the government turned its back on the project and the EIA did not go through. The second project, which could have brought life to one of the poorest, literally dying regions in the country, did not even get that far. The smearing campaign was so effective, that in no time it was impossible for a bystander to distinguish truth from lie. The “local referendum” instrument worked flawlessly, resulting in over 500 potential well paid and long-term jobs being wasted. The town of Tran created a precedent in which local government decided that the State is not allowed to extract its own resources. This has made every Bulgarian citizen a little poorer and will be used again and again with a similar result. But when we notice that we are not getting rich as much as we want, it will be too late. 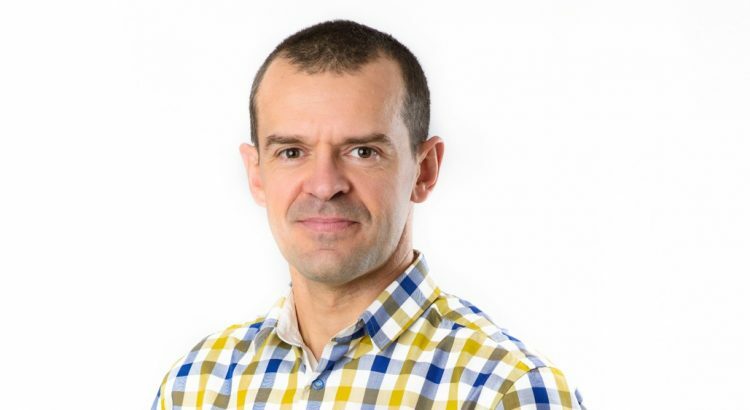 On the other hand, the search of new deposits will not stop – the Rhodopes, Sredna Gora and Strandja Mountains have been targeted by many teams and companies. There is a lot of potential in Bulgaria and I constantly hear about new projects. The development of the gold mine near Breznik is progressing and soon construction will start there as well. 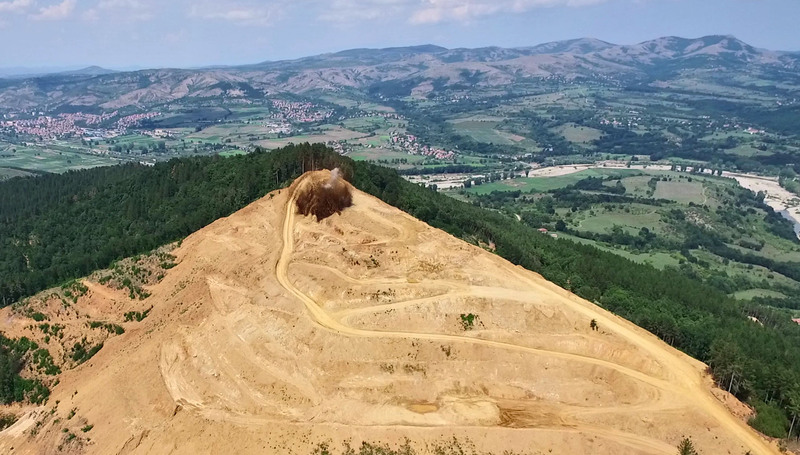 Most unexpectedly however in early August 2018, the government awarded the concession of the large and complex copper-gold deposit in Prohorovo to an unknown company associated with Kovachki. In order for the project to run as it should, it will require at least 500 million BGN of investment, world-class know-how and management experience. I cannot see these prerequisites in this investor, and at the same time dead silence reigns in the industry. As expected, the referendums have continued. Bulgaria is anyway not famous for aiming to limit its gas dependence on Russia, so when a gas project in Golden Dobrudja was proposed, the results were completely predictable – a quickly prepared referendum burned down any ideas for local extraction following the same model which once expelled Chevron. And they did not even want to extract – just to investigate! Meanwhile, Total and Shell continue exploring the Black Sea, but their silence does not sound optimistic. Another pessimistic example of our gas policy from the summer of 2017: Germany requested permission to conduct a scientific expedition to study gas hydrates in the Black Sea. The estimated resources possibly lying within the Bulgarian Black Sea bed were more than 4 trillion cubic meters of natural gas . We obviously do not want to know whether these resources are really there, because the expedition was not allowed, and the German research ship took samples from Romania only. In contrast, the government, lignite mining companies and thermal power plants suddenly turned out to be highly surprised by the European Commission’s new limits for sulfur and nitrogen oxide emissions from lignite power plants that have been under discussion for at least five years. They realized that this practically means closing down all power plants, with the exception of the so-called American TPPS (Ed. AES Galabovo and ContourGlobal Maritsa East 3 TPPs whose owners are AmCham Bulgaria members), and a severe yield decrease in the Maritsa-Iztok mines. In other words, a complete collapse for both our extraction and energy industries. It is clear that we will manage to negotiate some derogations, but these will be for a certain period of time only. And then what? The good news is that Bulgaria is not alone in this battle – almost all Eastern European member states are in the same situation – that is, we could be talking about something like a new, Iron Curtain, created by climate policies. Keeping this in mind, awarding a new concession for lignite mining near Slivnitsa in August 2018 – again to Kovachki – seems like a joke. But it is not! Considering the history of his mines and thermal power plants, it seems more likely that they will survive, even at the expense of the ones owned by the State. Even continuous deaths cannot break them down. The extraction of industrial minerals and inert materials grows in parallel with the economy and the revival of construction activity. The good news is that illegal extraction is becoming less frequent due to the intensification of civil pressure and the incrimination of such acts at the end of 2017. Ideas for recultivation of lands and riverbeds damaged by illegal extraction are even in discussion for the future. In summary, every line of the Bulgarian mining industry is developing along its own individual track. 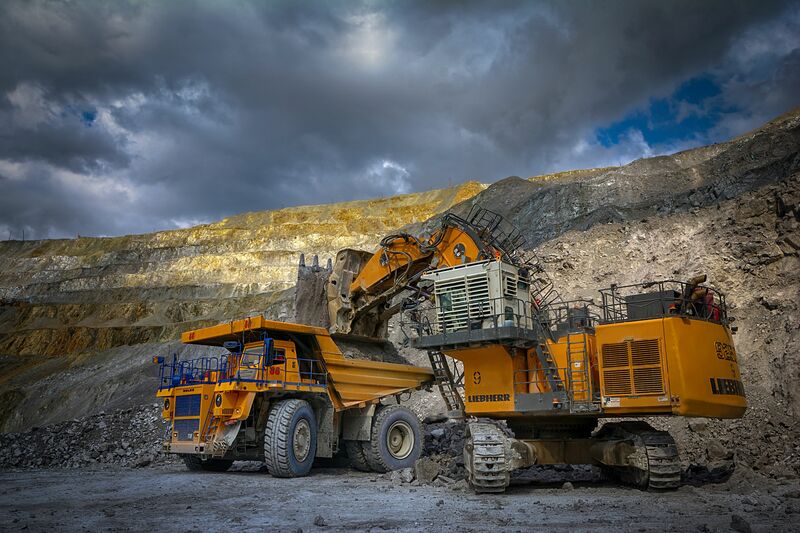 Ore mining is the most stable one, it has world-class traditions and know-how, huge financial resources, a raw material base, and metallurgy to add value to the extraction. It could have a brilliant future if it was not a constant victim of backstage political games, local autocrats and civil anti-activity that skillfully use the fears and ignorance of the population and can practically drive the whole industry away – with no access to new reserves, it simply cannot survive. The extraction of oil and gas obviously remains in the sphere of national fantasies and coal is doomed in the long-term unless Europe decides that its role of global climate leader is too much for it to bear. Nothing is impossible with Trump at America’s helm! The mining industry certainly has a future – there is no civilization without it – but whether its economic power will be realized in Bulgaria remains an open question, the answer to which I cannot predict. The article was published in Manager magazine in October 2018.